Last night Ken Livingstone announced his plans to quit the Labour Party. The former Greater London Council leader, Labour MP and mayor of London has decided that after two years of being suspended, the “ongoing issues” around the disciplinary action had become a “distraction”. It’s an interesting thought from the man who talked about Hitler again on Sky News only earlier this month – the day after local elections. He was on LBC this morning too. No prizes for guessing whether he mentioned Hitler. 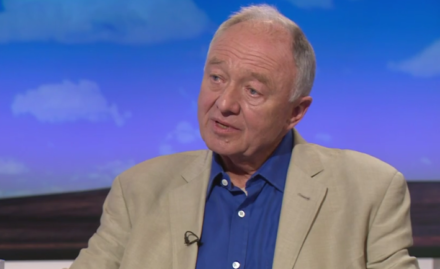 In a statement published on his website, Livingstone said: “I do not accept the allegation that I have brought the Labour Party into disrepute – nor that I am in any way guilty of anti-Semitism.” Yet he goes on to say he acknowledges his “historical argument” – that Jewish people “collaborated” with Hitler, who supported “supported Zionism” when he first came to power – did cause “offence and upset in the Jewish community”. He apologises for that. Quite how he thinks repeatedly making comments that hurt a community does not bring the party into disrepute is unclear. Reacting to the resignation, Jeremy Corbyn said it was “sad” following “a long and vital contribution to London and progressive politics”. The Labour leader concluded, however, that it was “the right thing to do”. Livingstone “remains a towering figure of the Labour movement”, according to Chris Williamson, who observed the former MP’s “fight” against “all forms of racism” with a tweet that made no mention of the harm he caused. When the news broke yesterday, many Labour members at first felt relief. But anger came next. Livingstone was “allowed to walk on his terms”, as one activist put it, despite being found guilty by Labour’s national constitutional committee (NCC) a year ago of bringing the party into disrepute. Some asked: what will we say on the doorstep? Oh, you’re not voting Labour because you still have concerns over the way antisemitism is dealt with by the party? Don’t worry, in the most high-profile case the party left it so long to expel the accused that he got bored and left the party voluntarily.